Still running an old version of Windows Phone? It's time to upgrade. The world isn't going to end, but it may feel that way this week to any Windows Phone users still running a version older than 7.5 Mango. That's because Microsoft announced the end of support for downloading Marketplace apps on the older software. Windows Phone owners are used to being the underdog, but how would they feel if their favorite platform suddenly turned its back on them? 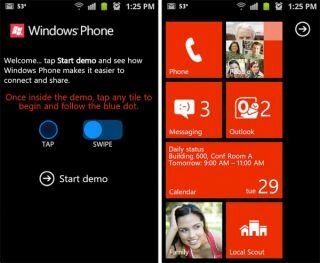 Users who have yet to take the plunge to Windows Phone 7.5 Mango may soon find out. Microsoft announced the end of Marketplace support for versions of Windows Phone prior to 7.5. Device owners who fail to upgrade this week may soon find the door to Marketplace apps slammed in their face. "We're now doing the final work needed to turn on this new requirement, so I thought it would be a good time for another friendly reminder," explains Microsoft Director of Program Management, Mazhar Mohammed. "The key takeaway is that if you like apps and games, you'll soon need Windows Phone 7.5 installed to continue using Marketplace," he elaborates. "Most of you already do." In addition to Mango-only features such as Twitter and Facebook integration, custom ringtones and visual voicemail, Windows Phone 7.5 and later includes better piracy protection for developers. The tighter security appears to be the primary reason Microsoft is nudging all users toward the update. To update a Windows Phone handset still running older software, simply connect your device to a PC running Zune software or a Mac running Windows Phone 7 Connector and check for updates. The software will handle the rest.